Social media, from Twitter to Facebook to LinkedIn, can offer a cost-effective boost to your inbound traffic. The best way to make good use of social media in your campaigns is to integrate it strategically. The emfluence Marketing Platform allows you to schedule, create, and track your social media messages with ease. Having a social media marketing plan is an important part of your social media success. Use the social media tools in the emfluence Marketing Platform to add Facebook, Twitter and LinkedIn posts to your marketing calendar. Schedule your social media posts immediately or weeks, and even months, in advance. We’ll even throw in a link shortener and ideal social media image sizes. Most importantly? 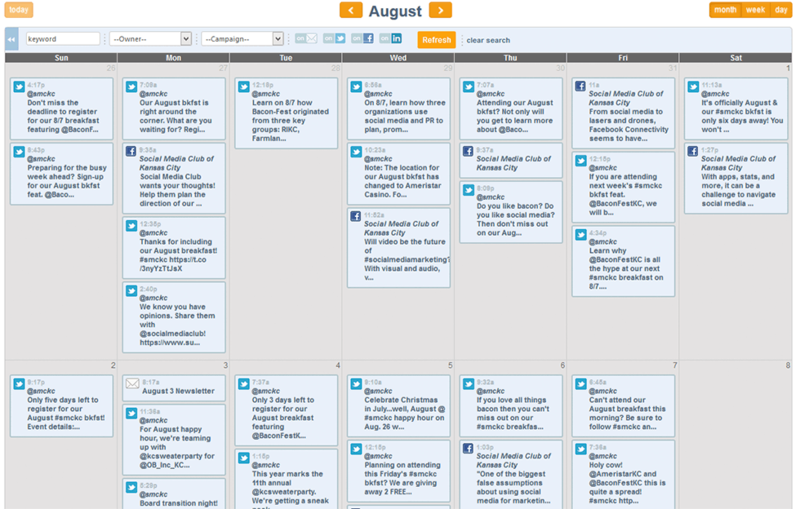 You’ll never overbook your social calendar again. No marketing campaign is complete without a way to measure its effects. Use the campaign reporting feature to track the results from each aggregated campaign. Just like emails and landing pages, you can add social media posts to a campaign to track averages and totals across all messages and pages. Or, drill down on a specific message to see its clicks, shares, comments and more. Social media is powerful, but only if you have a healthy, engaged audience. Is your audience growing? A quick look at our social channel growth graphs will let you know.